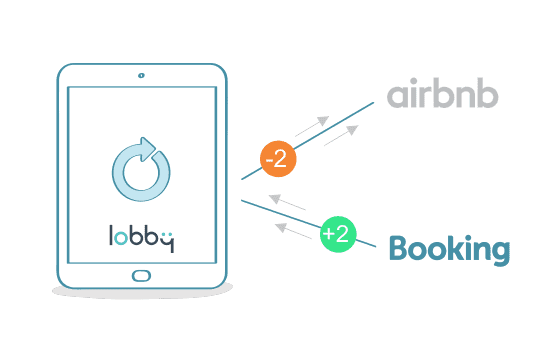 Total synchronization of portals such as Booking.com, Expedia or Airbnb. Save hours of work by updating the availability of each platform and avoid overbooking. 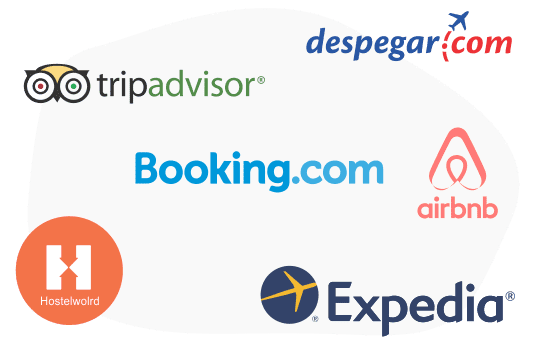 Increase the potential of your sales by synchronizing the main reservations portals of the world: Booking.com, Airbnb, Expedia, Hostelworld, Despegar.com, among others. Save hours of work and eliminate the risk of overselling with the double track integration that we implement with each portal. If you save a reservation in Lobby, we update all the portals automatically. If you receive a reservation through booking.com, then we update all the other portals and keep the reservation in Lobby.